I, Zombie, not to be confused with the CW TV show or 1998 British horror movie of the same name, is a simple strategy indie game for Xbox One where you try to turn everyone in each level into zombies. The gameplay is dead simple, and there are only 30 levels total, but the game has a definite charm and can be a lot of fun. And you can’t beat the $4 asking price and fairly easy achievements. See our full I, Zombie review for more. 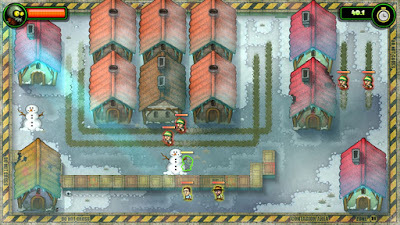 I, Zombie’s gameplay takes place in small closed levels where you have to guide your zombie around to infect the NPCs wandering around the area. Civilians are easy prey, but there are also armed soldiers and, eventually, turrets that will shoot any zombie they see on sight. Once an NPC is infected you can tell them to follow you, attack, or stop moving. The strategy in the game comes in two forms. 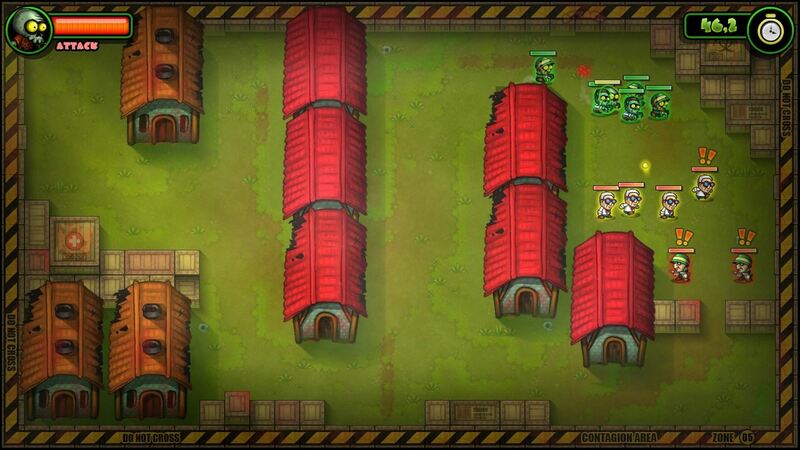 First, you have to be stealthy at first to sneak around until you can infect a follower or two to add to your horde. Second, you have to use your zombies effectively in order to infect more people. 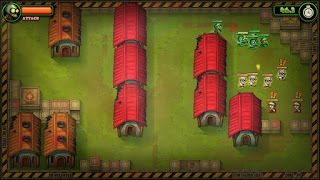 Classic zombie rules apply – one zombie is weak and easy to kill, but a horde is nearly unstoppable – so you have to plan your progression through a level accordingly so you’ll have a nice big group of zombies to overwhelm armed groups of soldiers. There are only 30 stages in the game, 20 Summer and 10 Winter, and it only takes about an hour to beat them all and earn an easy 700 gamerscore or so. If you want the rest of the achievements you have to earn 3 stars on each level and also finish each season within set time limits. That doesn’t sound like a lot of content – and it isn’t – but the game is surprisingly enjoyable despite its brevity. It only costs $4, and you definitely get $4’s worth of fun out of it. I also can’t understate how charming the game is. The characters are all adorable little things and the music during gameplay is catchy. It also feels like a real game with nice menus and overall presentation, unlike so many indie games that don’t seem to care about polishing the fine details too much. All in all, I, Zombie is a shockingly decent time for just $4. If it cost any more than that it would be a downright insulting release considering the simple gameplay and lack of content, but at $4 it hits a sweet spot. If you’ve got $4 and an hour to kill and want to earn some easy achievements, give I, Zombie a try.